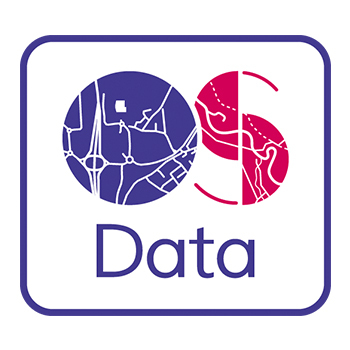 Joanna James are proud partners of Ordnance Survey. Delivering you the most up to date digital geospatial data instantly. We pride ourselves on offering great value, transparent pricing as well as always being on hand to assist with enquiries. For accuracy, choose Ordnance Survey MasterMap. The most detailed, current & comprehensive map dataset of Great Britain, it enables you to take better decisions & manage your assets more effectively. It is an approved mapping source for planning applications and land registration. 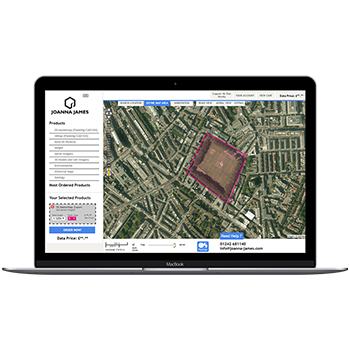 Ordnance Survey MasterMap can be ordered from the Joanna James Map Portal 24/7. Create a free account then simply locate, choose a product, mark out, order & download. 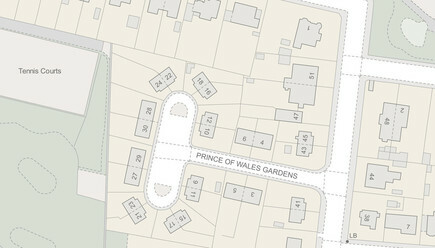 Price for OS MasterMap DWG (100x100m) from £14.50+vat. Are you paying your current supplier too much? Joanna James Map Portal prices for Ordnance Survey MasterMap represent brilliant value for money. 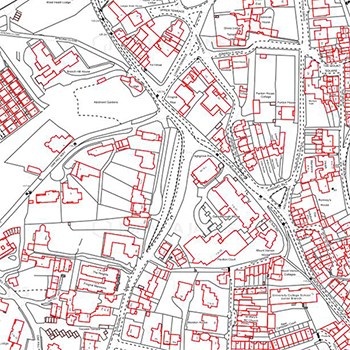 Ordnance Survey MasterMap large scale mapping is suitable for analysis at 1:1,250 to 1:2,500 scales and for display and printing at scales in the range of 1:10,000 to 1:500. Purchasable as a user defined area and deliverable in a range of GIS and CAD formats Ordnance Survey MasterMap meets the needs of project and site specific users in a variety of sectors, from architecture, engineering to environmental consultancy, planning, site development and asset management.